How Can I Support The Friends? 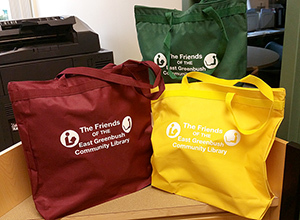 Purchase colorful canvas tote bags (only $10) at the library circulation desk and at various library functions throughout the year. When cleaning out boxes or bookcases, please think of the Friends. Donate used books, CDs, DVDs & Audiobooks on CDs.Then go to the book sales and buy more! See more about the books sales here. Designate FOEGCL as your “Amazon Smile” charity. 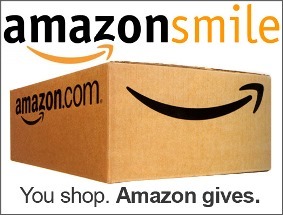 Shop through https://smile.amazon.com and Amazon donates 0.5% of the price of eligible purchases to FOEGCL. Same pricing and selection and no additional charge to you or the Friends. Your dues are used to support the library’s many literary programs. 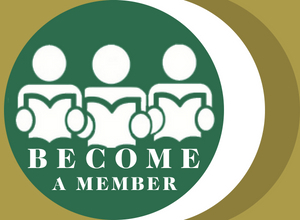 Membership forms are available at the library or here (Membership Brochure). 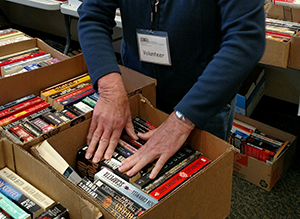 Volunteer your valuable time at a book sale or special events like movies, trivia night, children’s festival etc. Just leave your name and contact information at the Circulation Desk at the library or email foegcl@gmail.com. Consider a monetary donation to the Friends to show your support for the library. You can honor a friend or family member by dedicating your contribution in their memory. Mail your donation to FOEGCL, 10 Community Way, East Greenbush, NY 12061.